PHOTO: Allen Ramsey, DWCPhoto.com. The Highlands senior soccer players celebrated their Senior Night on Saturday with a 5-0 win over Beechwood. The six seniors, from left, are Molly Wiefering, Olivia McQueary, Kaitlyn Meyer, Kylie Stava, Sophie Steppe and Isabella Thomas. Head Coach Katelyn Sallee and staff want the Highlands Ladybirds volleyball team to keep grinding. Highlands (13-7 overall) earned its second major accomplishment of the season winning its own Cake Classic on Saturday. The Ladybirds earned the top seed in the single-elimination part of the tournament out of seven teams and beat Conner, 2-0 (25-7, 25-13) in the semifinals and Dixie Heights, 2-0 (25-20, 25-20) in the championship game. Highlands moved to 7-4 on the season against 9th Region competition. The Ladybirds avenged a 3-0 loss to Dixie Heights on Aug. 29 in a game where a few players were unable to play. "We just really were a cohesive team (Saturday)," Sallee said. "Defensively and offensively, we were able to put a lot of things together. For the most part, we maintained quick side-outs so (we) didn't give teams opportunities to get in and get some momentum, which is how you win volleyball games. It was really fun to watch." Highlands also won the Cake Classic two years ago. But a big difference is this team went 4-0 in the tournament losing just one game and the 2015 squad went 4-1 in the tournament. Highlands sophomore outside hitter Casey Dunn earned the tournament's most valuable player honors and sophomore setter Audrey Graves made the all-tournament team. Dunn had 39 kills and just six hitting errors for a .423 hitting percentage to go with 14 aces and 40 digs. Sallee said Graves is a student of the game. An all-Ohio Valley Conference setter at Morehead State herself, Sallee said setters need to be able to do more than just deliver the ball to hitters. "(Graves) is our quarterback," Sallee said. "Just like in football, you have to have someone who has a head for the game. You have to have someone who is not just throwing balls, but someone who knows when to throw and who to throw to. (Graves) has that kind of lane open for her. She's hungry to learn more. I've really seen her growing in that. She's making better decisions which gives our hitters more success. If you set the right person at the right time with the right blocking match-up, they're going to be more successful than if you're setting the wrong person with the wrong match-up. Obviously, she has the physical skills and the tools to set a good ball, but she has the mind, too." Highlands first had to pass the initial ball hit over the net from the opponent to Graves. Senior defensive specialist Gracie Schweitzer, junior defensive specialist Olivia Graves and other have done that consistently this year. "It's really all a team effort honestly," Schweitzer said. "We have a great back row. We have a great setter and we have a great front row. Overall, we don't really hurt as a team because there is no one player that sticks out the most. We're all work well together and we're all equally talented. We all give our full effort so it starts with the pass. If we can get the pass, then we can get the set." Highlands plays host to Conner on Monday. Game time is 7 p.m. 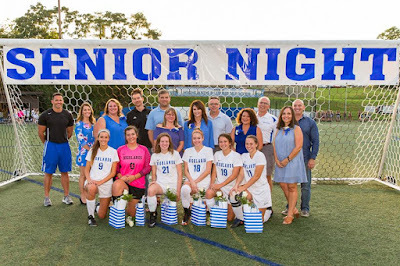 The Ladybirds (11-3-1 overall) celebrated Senior Night with another shut-out win. They improved to 8-0 in 9th Region play with the victory. Highlands out-shot Beechwood (5-9-1) by a commanding 31-1 margin including 15-1 on goal. Highlands sophomore Maggie Hinegardner played goalkeeper in the first half and made the lone save and freshman Jasmine Rehberger played in between the pipes in the second half. Beechwood freshman goalkeeper Tabitha Sanborn made 10 saves. 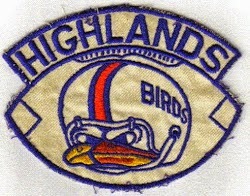 "I was hoping they could finish a little more," said Brian Wiefering, Highlands Head Coach. "What we worked on all week is something they did and it was switching attacks and switching play instead of trying to force things up the middle. If I grade them on that, the girls did fantastic on that." Highlands has six seniors on the team. They are Sophie Steppe, Kylie Stava, Kaitlyn Meyer, Isabella Thomas, Olivia McQueary and Molly Wiefering. Molly Wiefering and McQueary have seen limited action this year because of injuries. McQueary said she's out for the season, but she's trying to remain positive. Molly Wiefering may still play at some point this season. "I've taken on a different role here helping with practices and the younger goalkeepers just kind of focusing more on being a leader than a player this year," McQueary said. "It's been difficult, but I love it here. I love the sport and I love the people that I play with. These people have given me everything and I feel like it's my turn to give back." Beechwood is young with just 16 players on the roster including two juniors and one senior. But first-year Head Coach Amie Taphouse knows some things about success. The former Amie Weckenbrock graduated from Notre Dame in 2007 and was a sophomore on Notre Dame's 2004 state championship team before going on to play for Morehead State. Her husband Greg Taphouse played football at Morehead State and is currently in his first season as head football coach for the 5-0 Ludlow Wildcats. "It's been an exciting year for me just being able to have more control in what's going on and with my coaching staff that I have helping me," Amie Taphouse said. "We're just taking a young team and just starting to build a program that the girls come in ready to work every time they put on their cleats. The girls have had some stumbling blocks, but they're getting better every game so I couldn't be more proud of them." Sophomore Maria Wiefering scored a hat trick of three goals and added an assist. She has a team-high 18 goals and five assists on the year. Sophomore Lauren Deckert scored the other two goals upping her total to 10 goals tying Lindsey Meyer for second on the team. "With the way Beechwood was packing it in, I knew a goal would be a gritty goal," Coach Wiefering said. "It was literally 10 seconds after I put Maria (Wiefering) at forward. It was diving or whatever it takes to put the ball in. Lauren Deckert saw that and her next goal was a diving, sliding goal." Freshman Greta Noble assisted on two of Maria Wiefering's goals. Noble has three assists on the season. Highlands led 4-0 at halftime. "Our practices have been a lot of work, but I feel like throughout the season, we've progressed a lot," Noble said. "That feeling when you win is just amazing. Just putting in the work is worth it even when you do it, it seems hard and you want to give up." Highlands plays Notre Dame on Monday. Game time is 8 p.m. The Bluebirds fell to 2-3 with the home loss to the Pioneers. They play at Dixie Heights on Oct. 7 at 10 a.m. The Highlands freshman team (3-0) had a game scheduled against Louisville Trinity on Saturday. But excessive heart forced its cancellation.